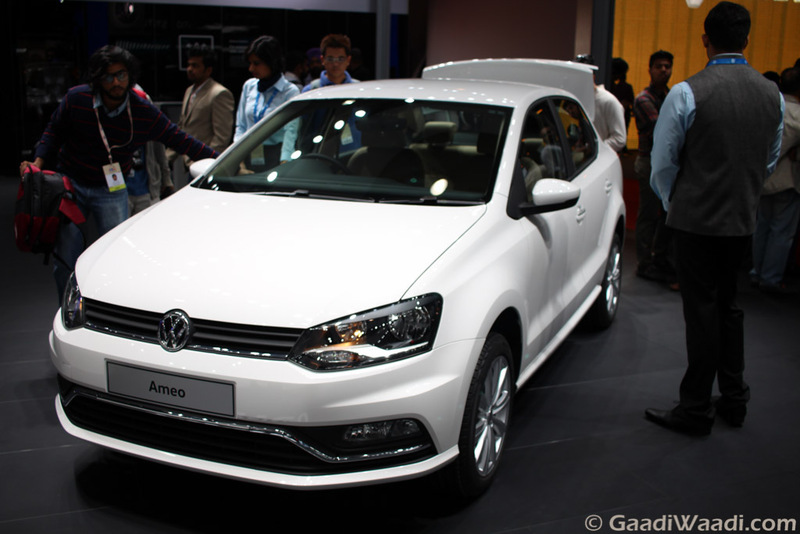 Volkswagen Ameo is the first India specific compact sedan from the German auto manufacturer. The car was initially launched with petrol engine. Now the automaker is gearing up to launch a diesel version as well. 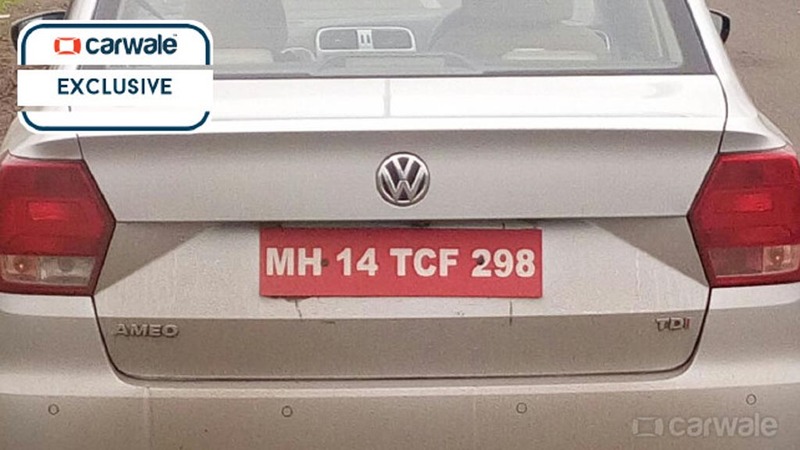 The Ameo with a TDI engine have been spotted testing. 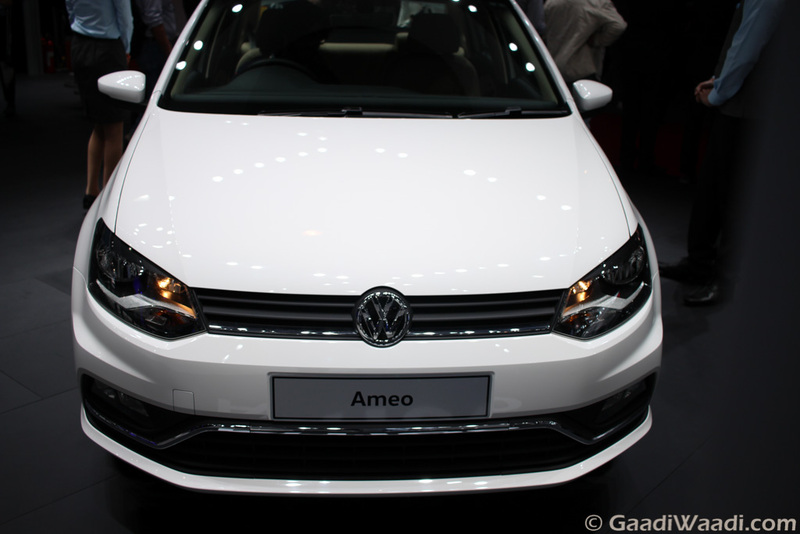 The Ameo TDI is expected to launch sometime during the upcoming festive season. Volkswagen Ameo petrol is powered by a 1.2 litre MPI engine, mated to a 5 speed manual transmission. It churns out 74 bhp of peak power and 110 Nm of peak torque. Meanwhile the diesel variant will get power from a 1.5 litre TDI engine which has been re-tuned to deliver more power than the standard 1.5 litre TDI engine available at Volkswagen’s disposal. In that case the car would churn out around 108 bhp of peak power instead of 88.7 bhp, and the torque amount would stand at 230 Nm. The standard transmission for Volkswagen Ameo TDI variant will be a 5 speed manual gearbox, while there will be a 7 speed DSG automatic gearbox also. The petrol variant Ameo was launched at price tags ranging between Rs. 5.13 lakh to 6.91 lakh (ex showroom, Mumbai). Expect the diesel variant to come priced at 6.90 lakh (ex showroom). Feature and equipment wise the diesel variant Ameo will be similar to it petrol sibling. The Ameo features a stylish design reflected through its sharp headlamps, chrome garnished slated front grille, wide air intake. The car looks like a chopped off Vento from side profile. Like its petrol sibling the diesel variant Ameo will also come available in three different trims; Trendline, Comfortline and Highline. The car sports multifunction steering wheel, dual analog and a digital display consisting instrument cluster, touchscreen infotainment system. Among safety features the Ameo sports dual front airbags, ABS, EBD, ESP, reverse parking sensors.